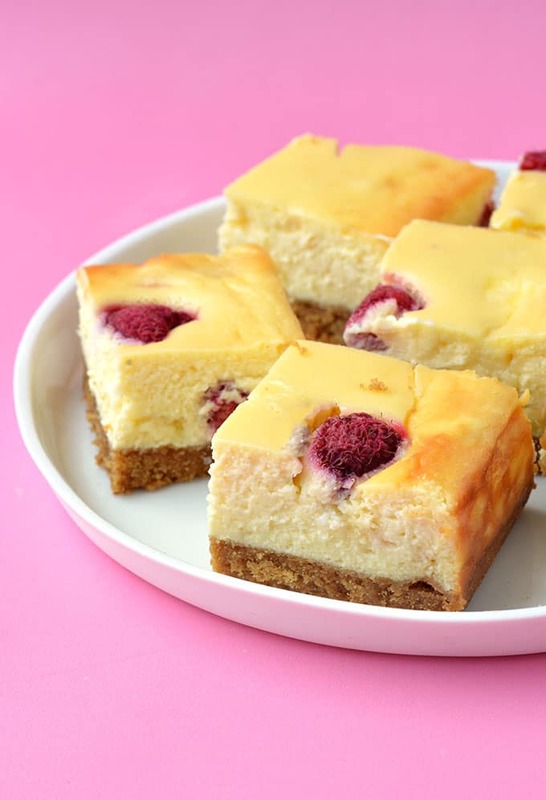 Baked White Chocolate Raspberry Cheesecake Bars perfect for your next celebration. 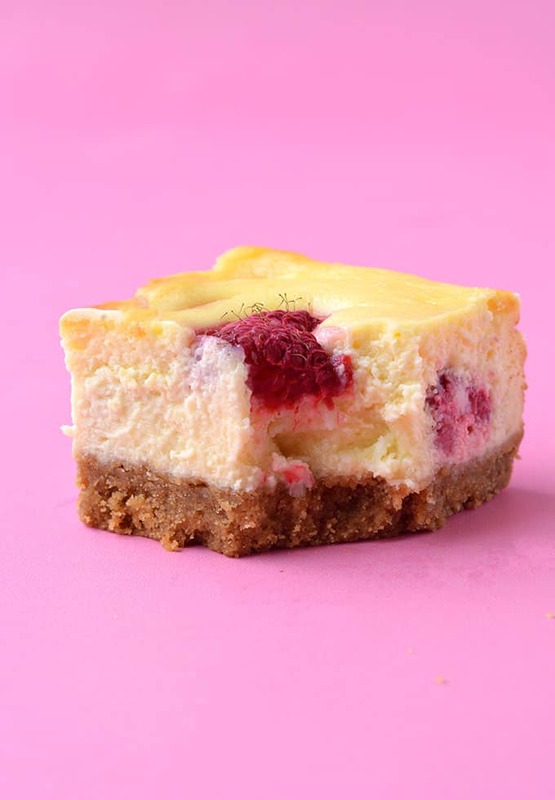 Cookie crust topped with creamy cheesecake filled with fresh raspberries and white chocolate pieces. 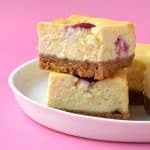 You will love these creamy baked White Chocolate Raspberry Cheesecake Bars with a buttery cookie crumb. 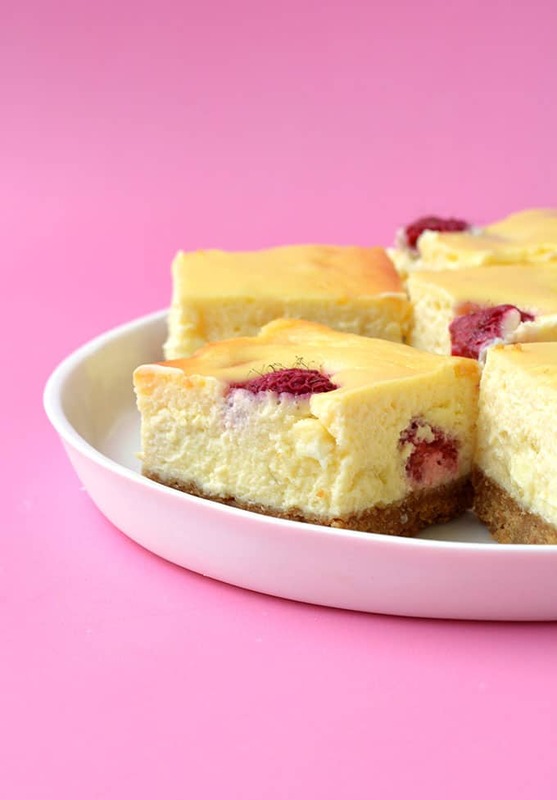 Creamy, sweet with a hint of raspberry tang, they’re a cheesecake delight. The best part? No water bath! You guys! 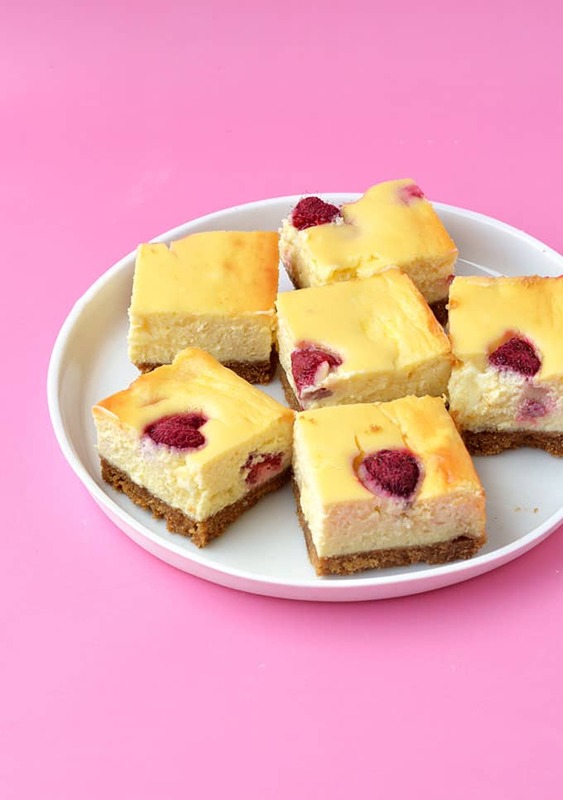 I’m sitting here remembering just how good these gorgeous White Chocolate Raspberry Bars and I need to tell you ALL ABOUT THEM. 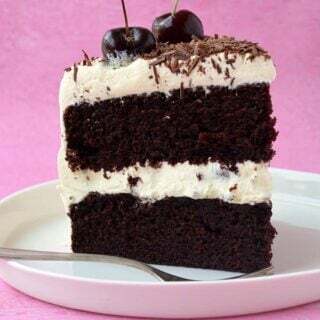 While they’ve disappeared from my house, there’s not a crumb left, they will surely be made again and again because they really were that good. Just like my Peanut Butter Cheesecake Bites, these gorgeous cheesecake squares are baked, which means they have a truly enviable texture. 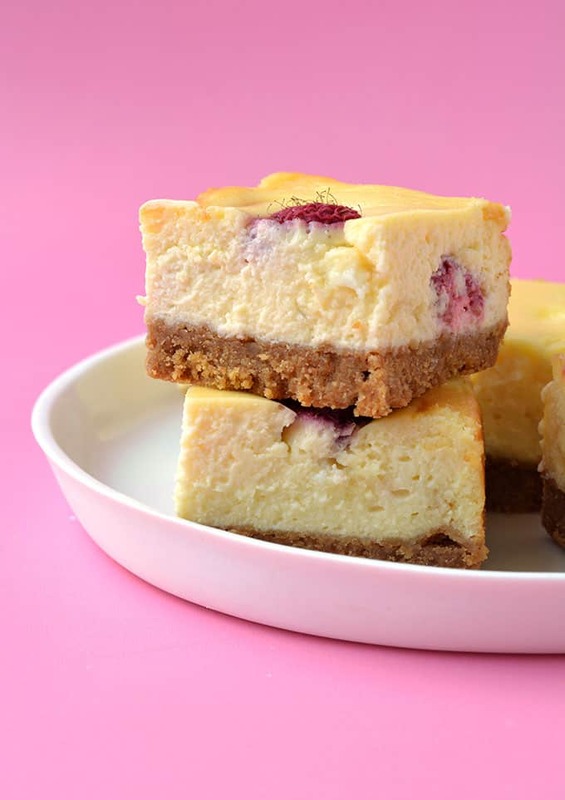 While I do love no bake cheesecakes, these baked cheesecakes are super creamy and luscious. They remind me of the amazing cheesecake I tried at Juniors Cheesecake in New York a few years ago. Another thing I’ve been seriously obsessed with is the combo of white chocolate and raspberries. Remember my Raspberry White Chocolate Cake? And my White Chocolate Raspberry Blondies? 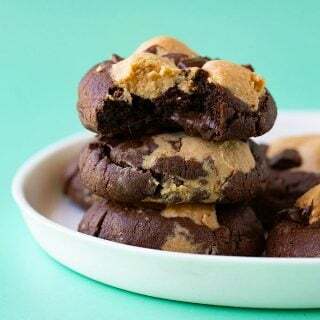 I so want to try this recipe asap! I love raspberries and cheesecake both. But we only get frozen raspberries in India, since they are not native to our country. 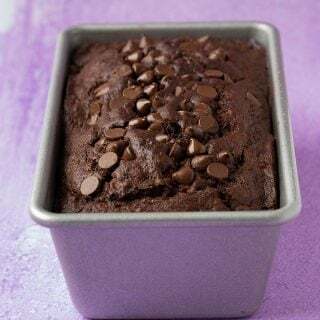 How can I incorporate frozen fruit into this recipe? 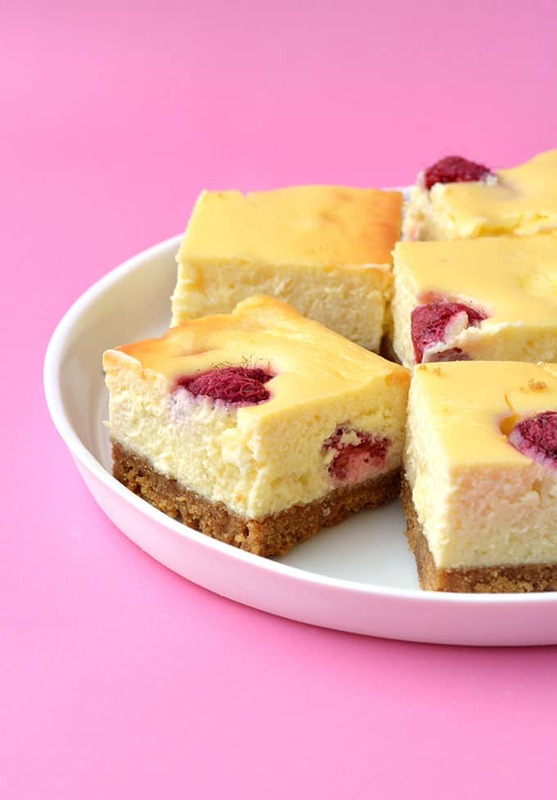 I love white chocolate and raspberry together and these cheesecake bars look absolutely delicious! Can’t wait to try this recipe!